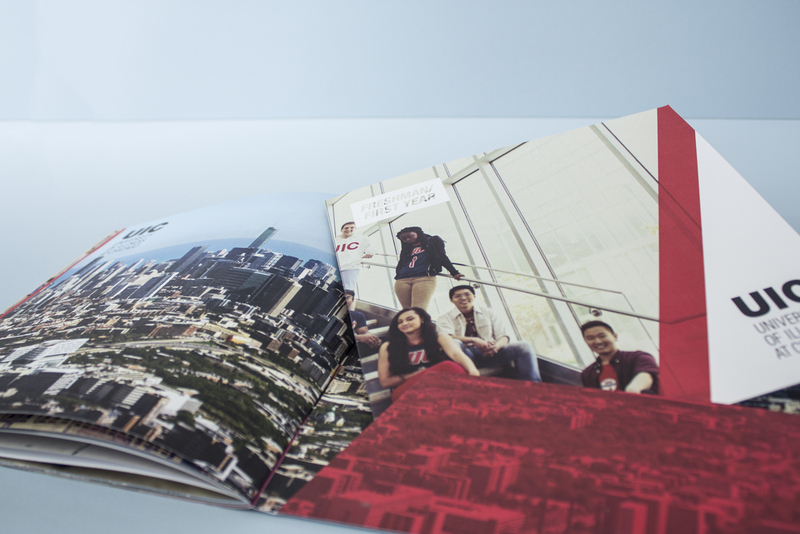 This project consists of a 32-page brochure with a pocket in the back, as well as four supplemental brochures. 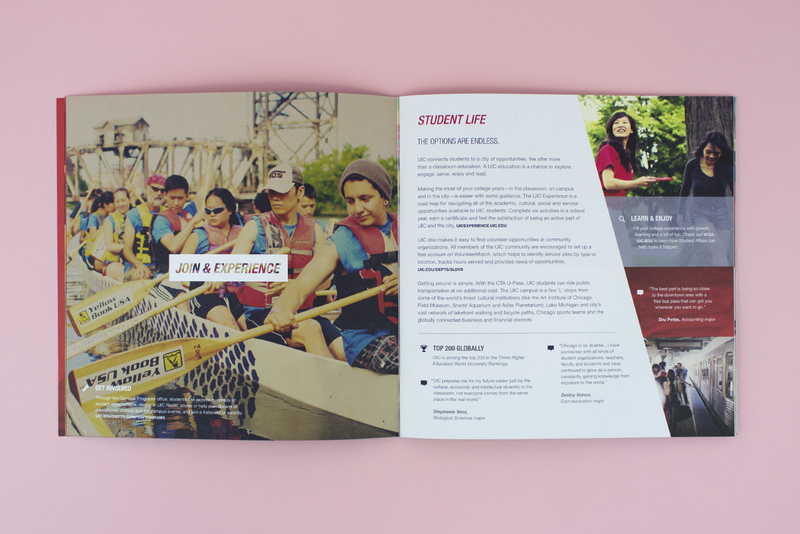 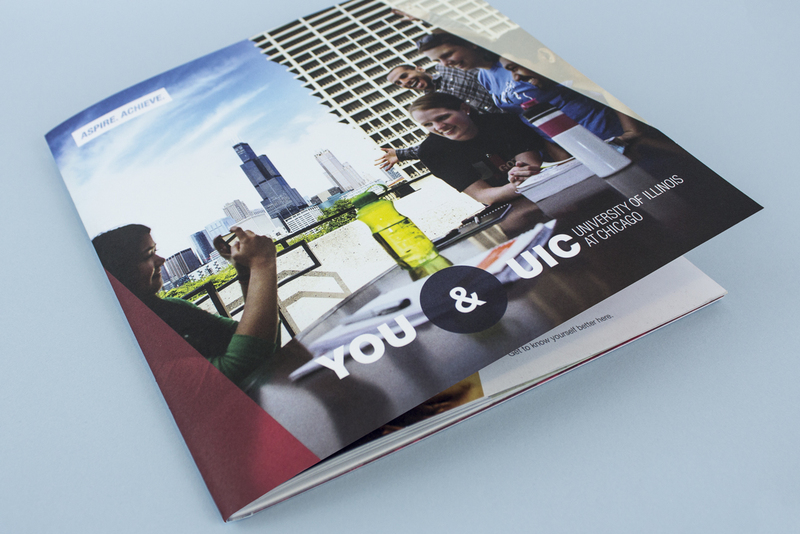 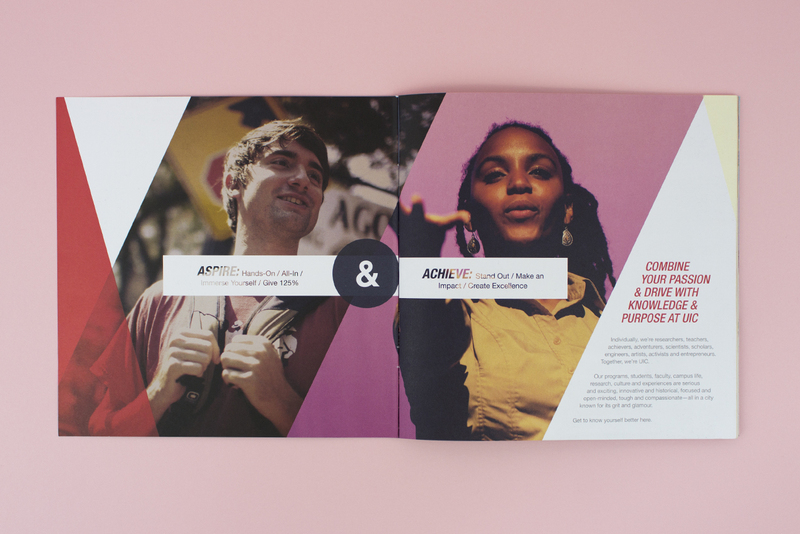 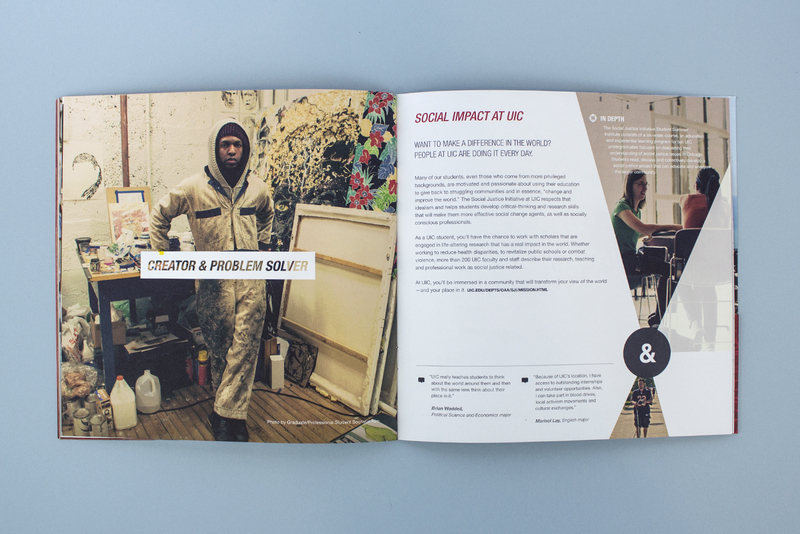 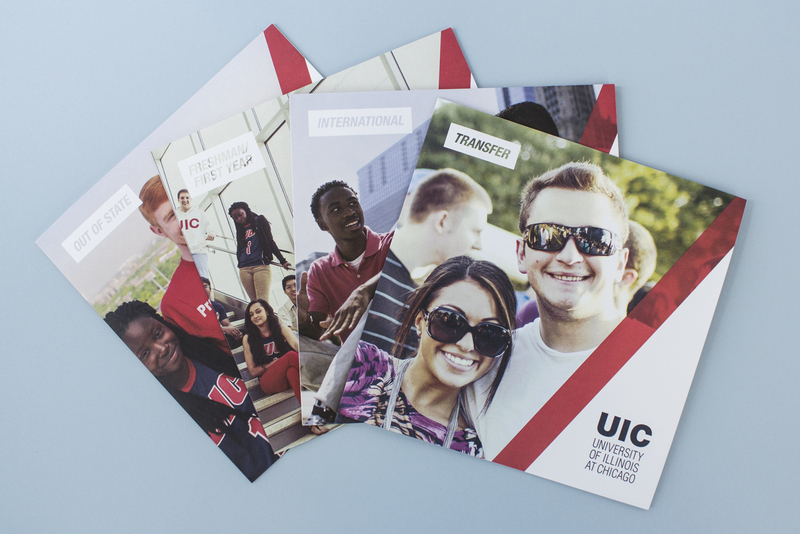 UIC knew it was going through a rebranding and wanted this brochure to feel fresh, the trick was—the rebranding wasn’t finished and we weren’t able to get any information about it until it actually launched in November of 2014. 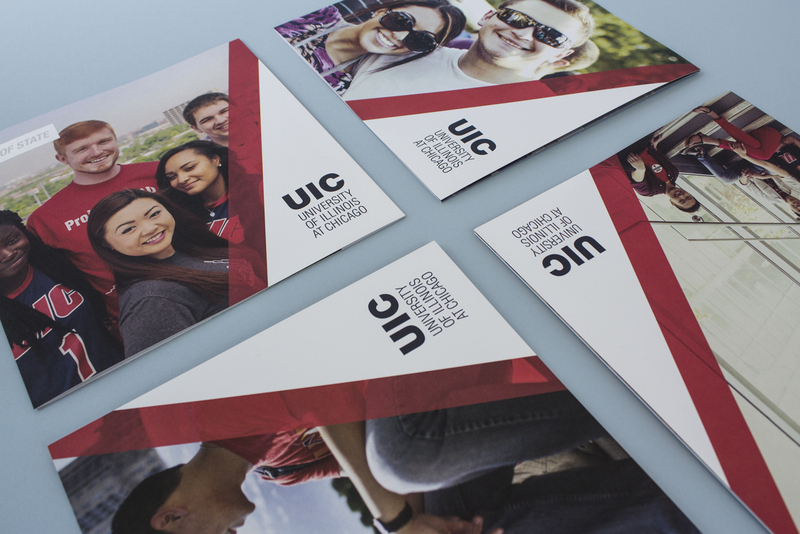 So this brochure system is an updated take on their old branding, which required Helvetica and the colors red, white, and blue. 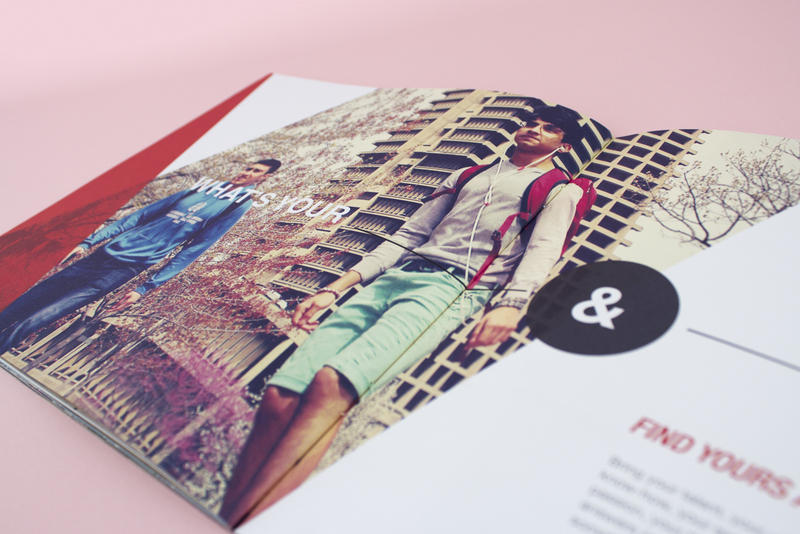 I threw in a soft yellow and varied the traditional tones a bit to add variety. 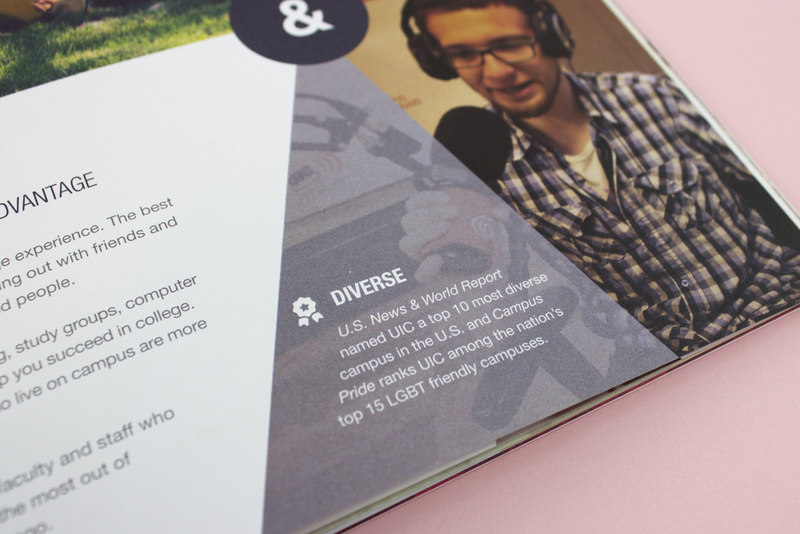 I also layered grids on top of one another—three in fact—one consisting of long diamond shapes that were skewed, one a horizontal block grid, and a traditional column grid. 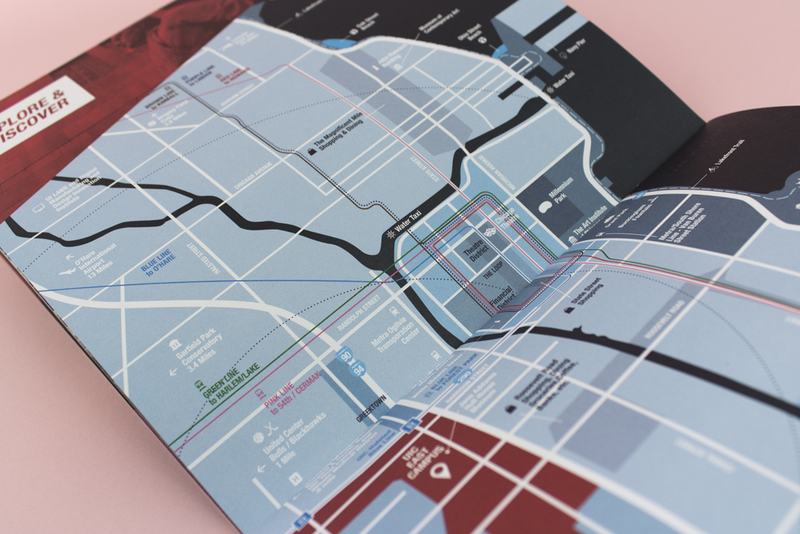 This gave us lots of interesting shapes, lines and areas to play with—which we needed as we had about 45 small facts which we needed to pepper throughout the design.